Picture this…It’s a beautiful summer day. Life is good. You’re sitting on your dock by the lake relaxing. You are reading a book, watching children playing in the water. The sun’s rays are beating down giving you a nice golden tan, even if the heat is starting to be a bit too much. It’s the perfect way to spend a lazy summer day…except for the heat wave. Now what if we changed the scene just slightly. You are still sitting by your dock. This time, instead of being on the dock in the hot sun, you are sitting comfortably in the water, enjoying the weather while staying pleasantly cool…relaxing on your Dock Stool. The Dock Stool has reinvented cottage life, allowing you to cool off without having to get right into the water (bring on the good hair days ladies). Create a hangout spot for friends and family or make your very own swim up bar by installing multiple Dock Stools and create a resort atmosphere without ever leaving your dockside. 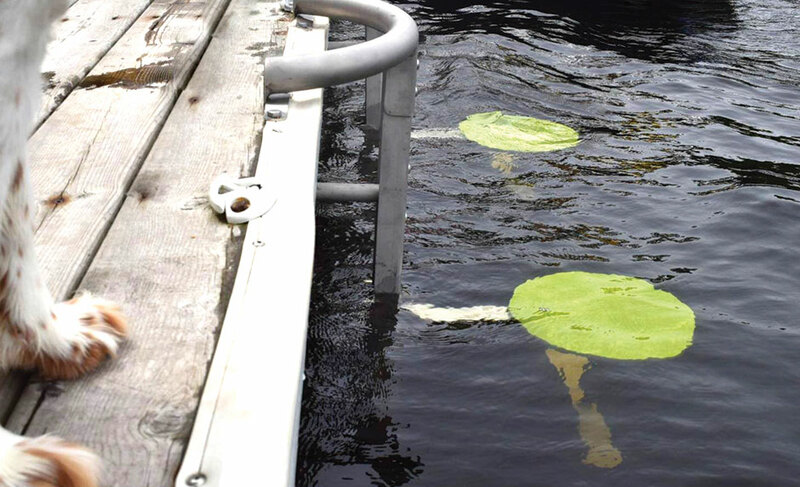 The Dock Stool seat is vibrantly coloured, making it easy to see under water and the sturdy frame is custom designed to withstand even harsh weather conditions. Installation is quick and simple, so you can start enjoying your Dock Stool right away. The seat conveniently adjusts to different heights giving you freedom to choose how high or low you want to sit in the water, while making it accessible for the whole family. Made from 100% stainless steel, the Dock Stool is designed for all ages to enjoy for years to come.